Residential https://laredotxlocksmith.com/residential/ 3.9/5 based upon 11 reviews. When you’re in need of a reliable residential locksmith in Laredo Texas, end your search with Laredo Locksmith Pros. We offer a wide range of affordable home lock and security services and products designed to add style, value, and safety to any home. We also provide residential locksmith services that include routine maintenance and 24-hour locksmith service should you need locks repaired, replaced, unlocked, or changed. We’re a well-respected mobile locksmith company based in Laredo with a staff of highly trained locksmith experts with five or more years of experience ready to meet your needs 24 hours a day. Licensed, bonded, and insured for your added peace of mind, we’re a local business with the experience to provide a variety of locksmith services in Laredo Texas and nearby areas. We’re your trusted source for a full installation and repair services. We make a point of staying current with the trends and technology preferred by today’s homeowners in Laredo, TX, and surrounding areas. In addition to new installation and repairs, our capabilities include performing home security audits to determine if there are upgrades and improvements that can be made. If you find yourself locked out of your home in Laredo, don’t resort to breaking a window. Instead, give us a call and we’ll have an emergency locksmith technician there within 30 minutes. We can also skillfully handle lockouts that may occur within your home, including bedroom lockouts and bathroom lockouts. Whether your locks are out-of-date or you’ve had a recent security scare, there are many reasons to consider a residential lock change. If you’re requesting a lock change because of a break-in or an attempted break-in, we’ll assess the damage and present your options. If you’re looking to update older locks, we can help with the selection of locks and recommend products and accessories to consider. Have you just moved into a home in Laredo? Have you lost track of extra keys over the years? For situations like these, residential rekeying may be an option worth considering. During the process, tumblers in the lock cylinder are replaced and you’ll receive a new key. Our technicians are trained to service all types of residential locks. With new installations and replacements, you’ll have a choice of some of the top commercial brands that include, but aren’t limited to, American Lock, Genie, US Lock, Corbin, MasterLock, Falcon, Lift Master, and Yale. 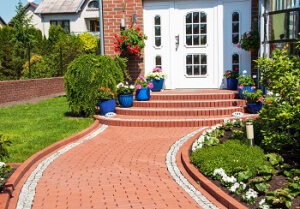 If you prefer products from Arrow, MarksUSA, Schlage, and Weiser, we’ve got you covered, too. Our local locksmiths install and repair all types of home locks. 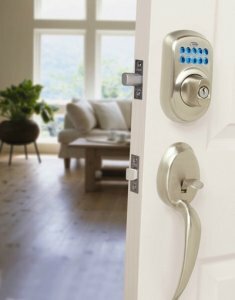 Protect yourself, your family, and your belongings by being proactive with your home’s security once you have your locks properly installed, rekeyed, or repaired. Keep windows and all outside doors locked. Don’t forget to lock the door in your attached garage. Use a heavy-duty deadbolt with a throw bolt that’s at least an inch in length. Try not to mention vacation or weekend getaway plans in public places. Replace keypad locks that have worn buttons that may reveal your combination. Be confident in your choice of Laredo Locksmith Pros for all your residential locksmith needs. We pride ourselves on providing an assortment of budget-friendly locksmith services in Laredo Texas 24 hours a day, seven days a week, including home and commercial lock-care and automotive and emergency locksmith service. Contact our local locksmiths today to arrange for assistance from one of our experts or schedule an appointment.